Rabbi Joseph Telushkin, author, scholar and World’s Jewish Museum Advisory Council member, will speak in Winnipeg on May 9, 2019. For more information, please see here and here. 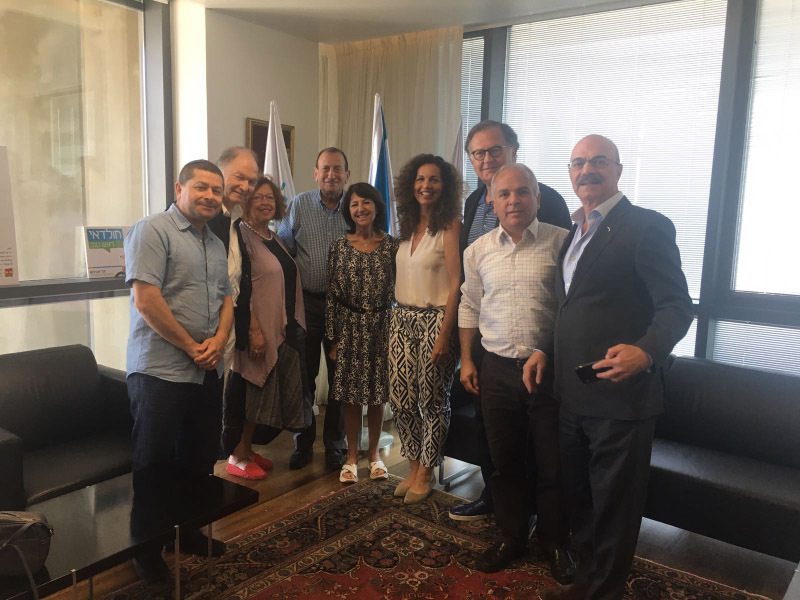 The European Friends of WJM met in the offices of the Mayor of Tel Aviv to express their support for what will become the new symbol of Israel and the Jewish People. From left to right: Yoram Cohen, David Wollach, Joelle Aflalo, Mayor Ron Huldai, Martine Dassault, Hila Oren, Robert Cohen Skalli, Yaron Klein, Moe Levy. Our goal for 2018 is to fundraise, fundraise and fundraise! We are asking our donors and prospects for assistance in achieving our goal. Time is of the essence as we have some strict deadlines to adhere to and we are confident that with your help, we will make this dream a reality! How can we not build this great, new project, designed by Frank Gehry for the Jewish people? All donors are being asked to provide pledges which can be spread over 3 – 5 years, and which are completely conditional on the project proceeding as envisioned. Please do share with us the names of prospective donors and be sure to make your pledge today. A pledge form is included here, please encourage your family, friends and colleagues to make their pledge today. We have just secured an additional $20 million dollar pledge from an anonymous donor. The donor has made this significant pledge because he loves the concept, the location, the content and “the truly beautiful and radical architectural design.” He shares our view that Tel Aviv is the right location for this kind of initiative. He also told Tel Aviv Mayor Ron Huldai that he is excited to do something bold and transformational in Israel and the world and the WJM is the best thing he has seen!